With more than 1200 volunteers, it's not an understatement that volunteers are the lifeblood of the Museum of Flight in Seattle. Many are retired Boeing employees who have the engineering and mechanical know how to restore some pretty sorry looking flying machines. But, others come from the airlines and all walks of life. Regardless of their backgrounds, however, the important thing is that when they retired (some are still working), they never retired -- they had the drive and ambition and dedication, to contribute to the Museum's collection. And the love of airplanes. The Restoration Center at Paine Field has one full time paid employee - Tom Cathcart, and one part time employee. Everything else is done by volunteers. Here's a quick peek at some of their capabilities. Extensive corrosion in the bilges necessitated large scale reskinning of the belly - to airworthy standards! The wheel wells and landing gear were overhauled and/or replaced. After a 13 year restoration, the world's only airworthy 247 was returned to the skies. 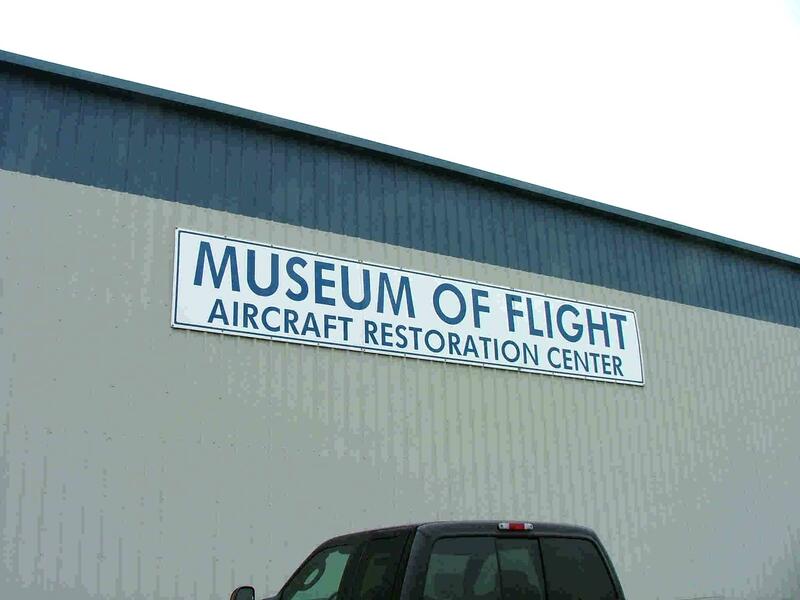 The airplane has flown routinely for years and is maintained by qualified Museum volunteers and flown by qualified pilots. The airplane is currently laid up due to finding cracks in the main landing gear. Entirely new - improved - landing gears have been designed (after more than 70 years!) and are currently being manufactured from scratch. FAA Annual Inspections are performed by A&P mechanics, including such things as gear swings. Rescued from a schoolyard and derelict condition. 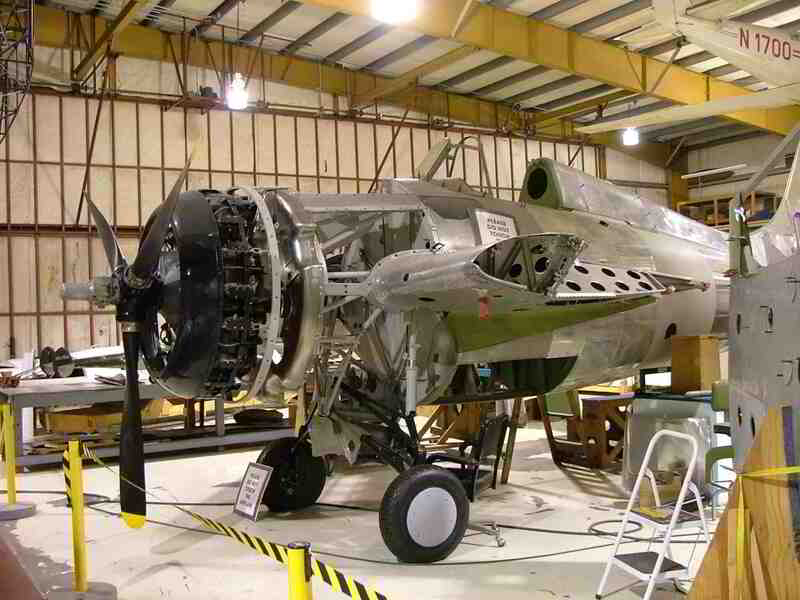 Major rebuilding and reskinning being accomplished in accordance with original Grumman drawings. This airplane flew carrier based combat missions in the South Pacific during WW II. The Horizontal stabilizer from the Museum's B-29, being badly damaged and corroded, is being completely rebuilt with new skins and stringers in accordance with the original factory drawings and manuals. Many, many more airplane projects could be shown here (and will be some day, if I have the time.) They include the B-17 and B-29, Prototype 727 and 747, Prototype Vought XF8U-1 Crusader, Chance-Vought F7U-3 Cutlass, and more. A wood and fabric sailplane severely deteriorated, demonstrates wood and fabric capabilities. This particular airplane was a US Navy LNE-1; thence to USAAC as TG-32 N60353 S/N 13. One of 75 gliders built for Navy. 2 seat. Type established altitude record of 44,255 feet in 1952. New wood wing spars and ribs, manufactured -- with no plans available. Copyright 2006-2007 Robert A. Bogash. All Rights Reserved.